Move the hundreds of conversations from your boss to another location. Get rid of all those annoying emails from your cousin? Or maybe just delete everything. Before you can move, delete, or mark multiple conversations in Gmail, you have to select them. And at first glance, it appears that you can’t select more than you can see. And Gmail can’t display more than 100 conversations at a time. But before you can select even 100 conversations (remember that Gmail organizes messages into threads called conversations, not as single messages), you have to know how to search for the right ones. You probably already know that you can search for a word, phrase, name, or email address by entering it into the search field at the top of the Gmail webpage. But there are more tricks to it. If you search for answer@pcworld.com, you’ll get all conversations with that address anywhere in the conversation. But if you search for from: answer@pcworld.com, you’ll get only those that I sent to you. To find all of your unread conversations, search for is:unread. For all the message sent last December 11, enter 2015/12/11. You can probably guess what before: 2015/12/11 and after: 2015/12/11 will do. You’ll find other examples at this Google help page. 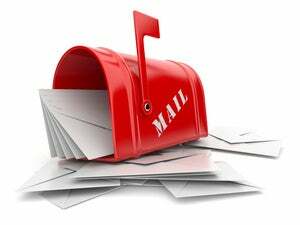 To search for all of your mail, go to the list of labels on the left side of the webpage. Click More at the bottom of the list (you may need to scroll down to find it). Once you click it, the More turns to Less, and other options appear below it. One of them will be All Mail. Okay, so now you have the hundreds or thousands of conversations you want to move or delete. Do you have to select them in batches of 100? Of course not. Click the square icon at the left end of the toolbar. This will select all of the conversations currently visible. Click that link, and all of the conversations and messages you want to select will be selected, including those you can’t see.